For over 24 years, food sensitivity tests have provided both patients and healthcare professionals with a tool to successfully overcome a wide variety of conditions, such as digestive disorders, migraines, obesity, chronic fatigue, skin disorders and arthritis, which result from food and chemical sensitivities. Food allergies can be, at best, inconvenient, and at worst, life threatening. Food sensitivities, on the other hand, affect a large number of people who may not even be aware that they are suffering from food sensitivity. About 4% of the population is estimated to have food allergies, but the number of people suffering from food sensitivity or intolerance is probably closer to 70%. Food allergy has a range of symptoms, ranging from mild to severe. Allergy sufferers may suffer from a tingling tongue and digestive distress, or something as serious as constricted airways, and a food allergy test can identify triggers, in order to prevent future problems. Food sensitivities, on the other hand, have been linked with a number of conditions, including digestive disorders, migraine headaches, obesity & inability to lose weight, chronic fatigue, ADD/ADHD, joint pain, eczema and other skin disorders, arthritis, and even autism, but until recently, public awareness of this link has been low. 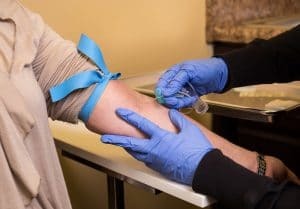 As this awareness grows, more people are deciding not just to be tested for food allergies, but to also participate in gluten intolerance testing and other food sensitivity testing. At Innovative Health and Wellness, we believe that food allergy, intolerance, and sensitivity testing are an important part of the diagnostic process that puts you on the path to optimum wellness. Using cutting edge diagnostic tools and procedures, our doctors will help you determine the root cause of your health issues, in order to help you live your healthiest, happiest life.